In a letter to President Trump, Nielsen said that her resignation was effective immediately. “It has been my great honor to lead the men and women of the Department as its sixth secretary. I could not be prouder of and more humbled by their service, dedication, and commitment to keep our country safe from all threats and hazards," she wrote. In the days leading up to Nielsen's exit, Trump had taken an even more aggressive tone on his administration's immigration agenda, showing his frustration with the increasing number of migrant families attempting to cross the border. "Our country is full," he said Friday, after threatening to completely close the border earlier in the week. 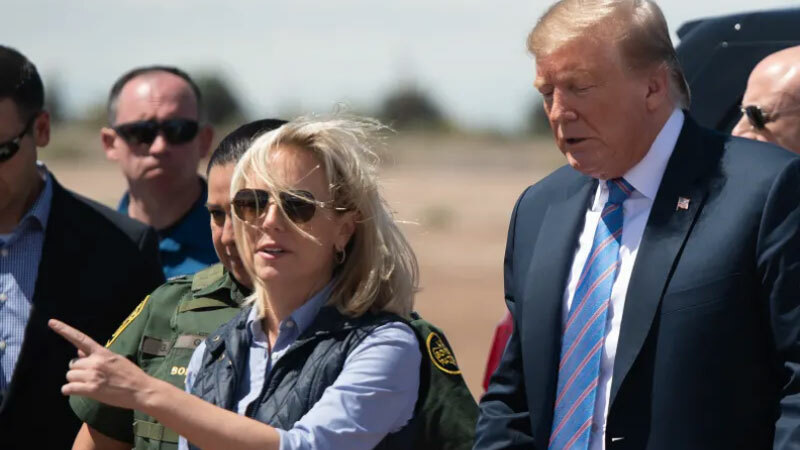 In a tweet Sunday night, Nielsen stated she would stay on as secretary until Wednesday "to assist with an orderly transition and ensure that key DHS missions are not impacted." McAleenan, a longtime CBP official who served in the George W. Bush, Barack Obama, and Trump administrations, is known as an apolitical career official. The University of Chicago Law educated official CBP career has spanned many leadership positions, including the port director of the Los Angeles International Airport, the acting assistant commissioner of field operations, and appointments by the Obama administration as deputy commissioner and later, under the Trump administration, acting commissioner.